In this article, I will show you how to create a website in 4 easy steps without coding/programming skills. You do not need any particular knowledge of PHP, HTML or CSS coding/programming language because that is not necessary to create a website – up and running. Also, you will learn how most of the web developers build professional sites and how you can become one without much of programming/coding knowledge. I will give you all that you need to know, in order to avoid many mistakes that most of the beginners make while creating a website for the first time. Before I start step #1, let’s understand what is a CMS/website builder and why you need one? Website builder (building platform) is the modern solution to create and maintain a website easily and efficiently. It may be a website based platform like Wix or standalone software like WordPress. Content Management Systems (CMS) is software that helps you build your website and organize content into a perfect design. Choosing the right website builder/CMS is an important step as we are going to use this builder to set up, customize and maintain our website. Let’s check out, what other people are using and why? There are many website builders, website building platforms and website setup software in the market today. However, I am going to show you some of the most popular, so that you can make an easy choice. Alternatively, if you are a coding ninja you can create your own from scratch. But I would not recommend this because it is not only time consuming, but also not an option for beginners. Clearly, WordPress is far ahead of others with a large margin. From the statistics, it can safely be concluded that WordPress is not only popular among bloggers but also adopted and used by web developers across the globe. 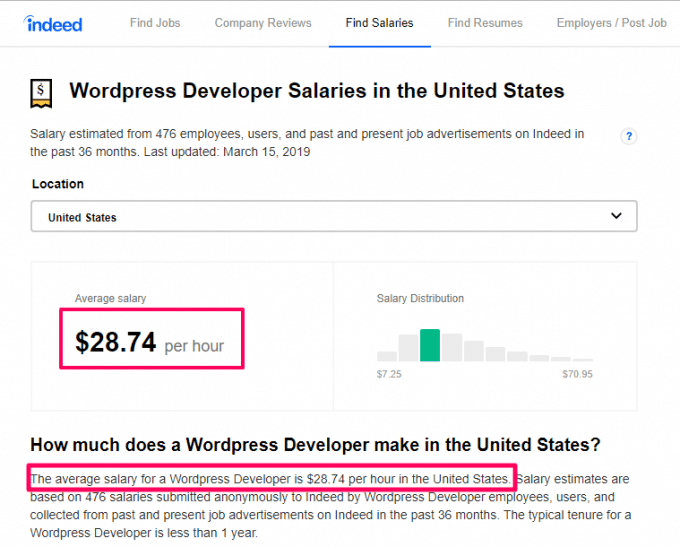 Certainly, this article is not going to make you a full-fledged WordPress developer. But you have to start from somewhere to become one. By the end of this article, you will definitely learn how to use WordPress and how to create a website using WordPress. 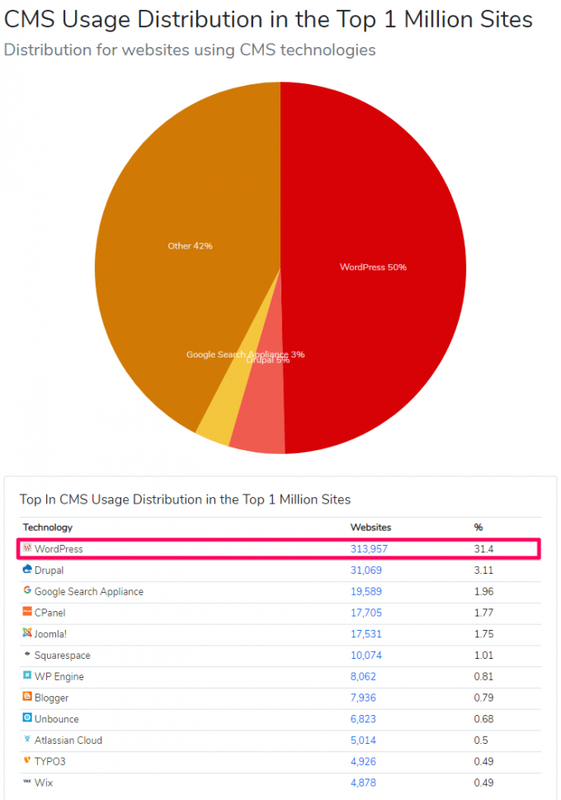 Why is WordPress the Most Popular CMS to Create a Website? 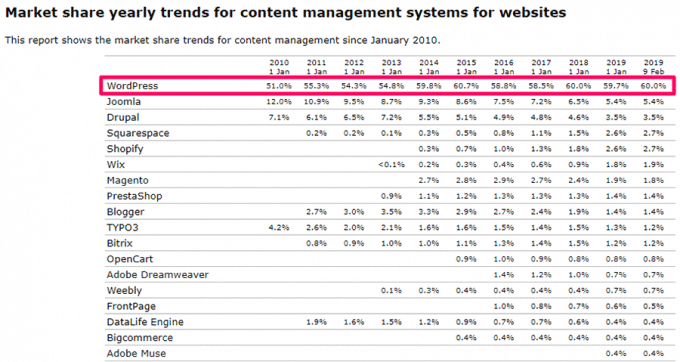 WordPress is the most popular CMS software for many reasons. Apart from being free and open-source software, it is user-friendly, easy to setup and use. Its themes and plugins architecture makes it is highly customizable, flexible and hence, suitable for all users (beginners & professionals) and websites. The WordPress community includes plenty of forums, groups, blogs and resource sites. This huge WordPress community will never let you down for your queries about WordPress. Perhaps for all these reasons, WordPress is the best choice for online stores, business websites, personal blogs, charity sites, sports, news and all manner of other uses, especially when you’re starting off. Now, let’s dive into the gist of this article as I have already shown you that WordPress is the most popular choice to Create a Website. 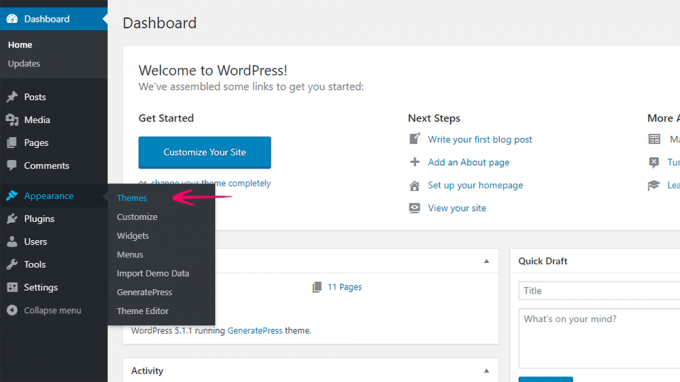 You need to follow these four simple steps in order to create a WordPress site. Don’t worry. It’s not that difficult as it seems like. Moreover, if you need help, you can reach us via our contact page. The first step on how to create a website is to buy a suitable web hosting service and register a domain name. I will tell you what is web hosting and domain name so that I can make this clear as early as possible. Before that read this simple analogy! For your mobile phone to function, it has a line (a unique number) and a mobile service provider, right? The same case applies to a website. You need a domain name (unique address) and webhosting service provider. Domain name is the unique address of your website. Just like mywebsitename.com, google.com, facebook.com, etc. Web hosting is the storage where your website’s content is stored (hosted). It connects your website to the web (internet). So that when someone opens the URL (mywebsitename.com) in the web browser, the browser renders and displays the content of your website. These definitions of domain name and webhosting are like bare bone structure. So let’s understand bit more about these two, as you will come across these terms quite often during creating your own website and afterward. Web hosting is a service that you need to post your website on the internet. The webhosting service provider gives you the technologies needed for your website to be available on the internet. This service provider uses special computers called servers in order to store your website and render it accessible worldwide through user browsers. Domain name refers to the name identity of your website. The name serves as the address used to identify your site to make it different from other websites on the internet. For example, a domain name can be mywebsitename.com. In order to choose your domain name, you need to be creative, and cautious what your website will be known as. I recommend you to come up with a domain name that captures the intentions and objectives of your website for better performance. Once you have decided on the domain name for your website, you have to check its availability so that you can register it by paying. I will tell in a moment, how to can check the availability of domain and how to buy it, if it is available. Is it possible to use free domain names for your website? But here is why you should not use one. For example, you can use mywebsitename.other-free-website.com. 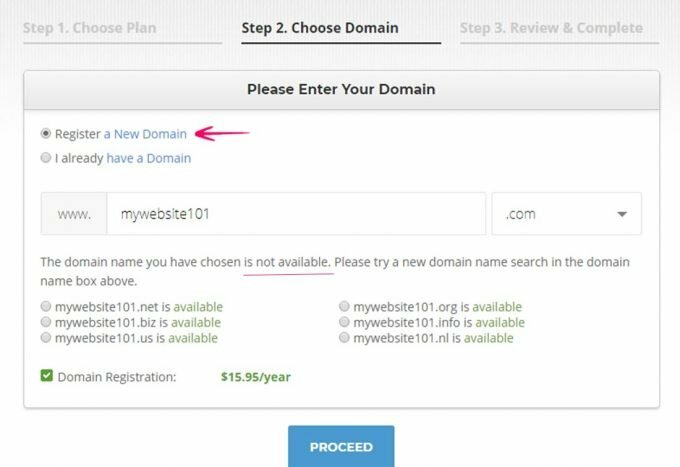 I would not recommend this because you will not enjoy the flexibility and freedom of choice that comes with registering your own domain. Besides, most professional web hosting companies offer free domains for a year or so. There are many webhosting companies to choose from. However, a few offer the best hosting services your site needs. 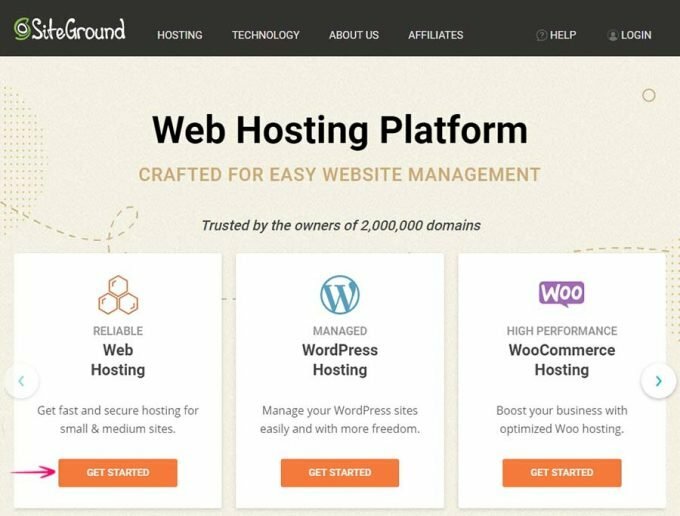 SiteGround is one of those value-for-money web hosting companies for starters. They have earned a really good reputation over time. 1. 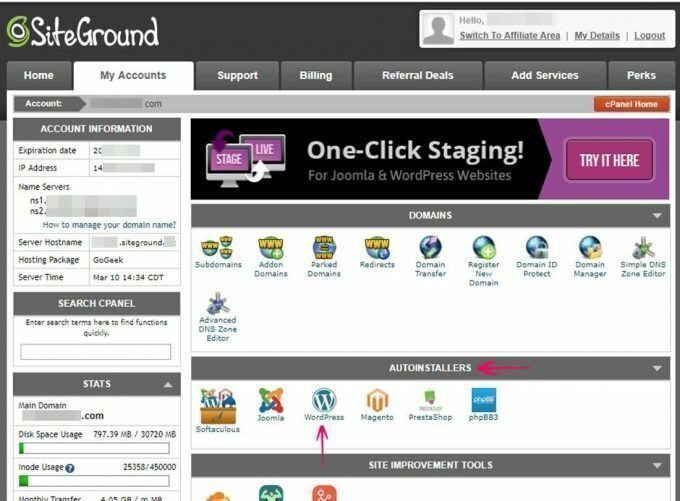 Go to www.SiteGround.com (affiliate) website to start the process. 2. Here you need to choose a webhosting plan as per your budget and requirements. If you’re just starting off, you can go with GrowBig or GoGeek plan. 3. Choose (register) a domain name which reflects the topic/subject of your website. Or if you already own a domain name you can sign up with your existing domain name. Click Proceed to continue. 4. 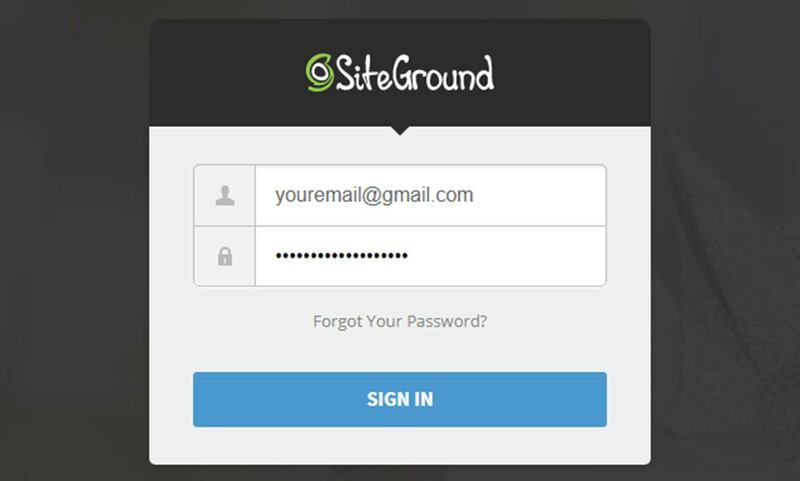 In the next page, provide your email and password for SiteGround account, personal details, payment information. Review the hosting service like plan name, period (12 or 24 months) and data center is the location of SiteGround webhosting server where your site will be hosted. Choose a data center based on your target country. Generally, we go for USA based data center (Chicago -USA). 5. Proceed to make payment. After successful payment transaction, you will be notified Congratulations! Now you are the owner of a domain name for your website and webhosting to host your website. Step two on how to create a website involves, installing WordPress on your server (webhosting). The previous step to create a website was to get a domain name for your site and a server, now you need to set up your site. This option is provided by the hosting company (i.e. SiteGround in our case). 1. Login to your SiteGround account (using email and password created earlier) in order to access your web hosting account. 2. 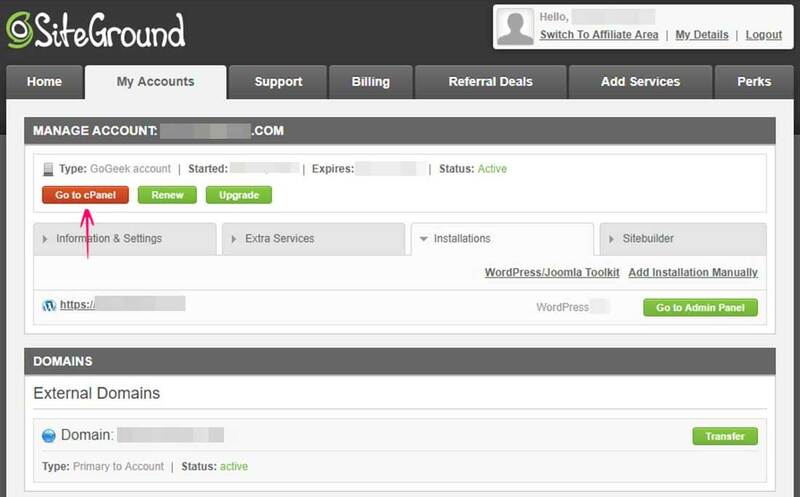 Navigate to the My Accounts > Go to cPanel so that you can install WordPress. 3. Look for the installation script of WordPress in Auto-Installers or whichever CMS you choose in order to start the installation process. Click the WordPress icon to move forward. It will take to WordPress 1-Click Auto-Installer page. 4. Click Install Now. Now you will be taken to WordPress installation page. Choose the domain for WordPress installation & SSL Protocol. Enter other details such as Directory, Site Name & Description etc. 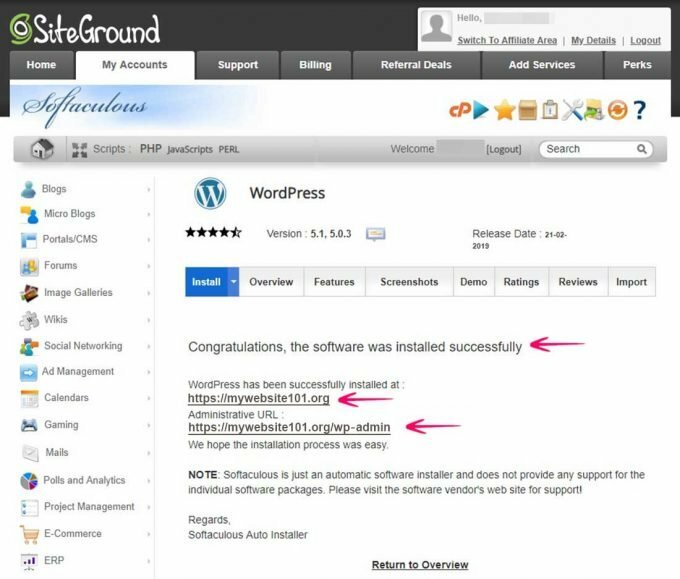 Click Install to start WordPress installation. 6. WordPress installation will take a while. On successful completion of installation, you will be notified that ‘Congratulations, the software was installed successfully.’ Below this message, there will URL of the website where WordPress is installed and another URL to login to your WordPress admin dashboard. 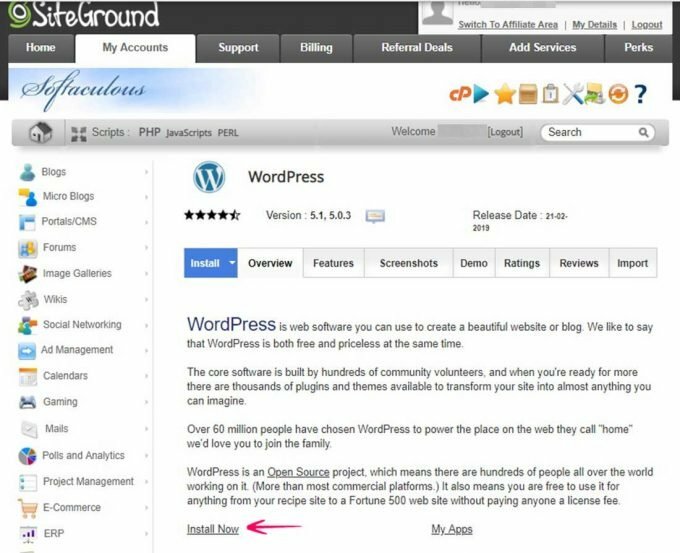 To create a website, you can also install WordPress manually by downloading it from WordPress.org and uploading it on your server. 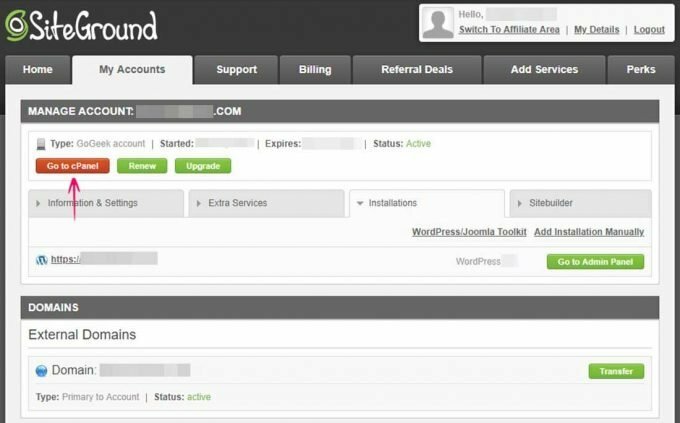 But you don’t really need to deploy WordPress manually as most of the web hosting providers offer Auto-Installer WordPress setup. Step three on how to create a website deals with design of the website. I personally find this step very exciting because this is where you get to see your real website. Once you have successfully installed WordPress, you will discover that you have a basic website with the latest default WordPress theme installed. From here you can start designing your website as per your requirement. Not sure, How your site should look like? You have come a long way. Deciding up on site’s design is not that difficult. Think about what you want to achieve with your website so that you can start from the right footing. To look for what your potential competitors have done so that you can get a feeling of what is expected. Once you’ve decided upon the design idea for your website. Now it’s time to choose a good WordPress theme with which you can achieve the design as you expected. A WordPress theme refers to a design template that tells WordPress how you want your site to look like. There are Free WordPress Themes and Paid (Premium) WordPress Themes to choose from. We will discuss both free & paid WordPress themes and their Pros and Cons. WordPress.org offers thousands of blogs and websites style free themes. Other than that there some third party theme developers which offer free WordPress themes as well. Fewer features and customization options. May not be professionally written theme code. Limited or no support and documentation. Do not necessarily match your design needs. Do not guarantee best practices for SEO & Security. Paid (Premium) WordPress themes are offered by several theme developers like GeneratePress, My Theme Shop, and Elegant Themes etc. As these developers charge people for themes, they make sure that their customers are satisfied. More features and customization options. More frequent updates and bug fixes. Implementation of best practices for better security and SEO. Popular paid themes enjoy the better community as well, which means less hustle for your queries. Not affordable; especially when you’re on budget. Some developers don’t offer a return policy that can lead to trouble if you have picked up a wrong theme. You should check out this detailed article: Best WordPress Free and Paid WordPress Themes of the Year. To customize your website as per your needs and preferences, WordPress.org offers thousands of free themes. 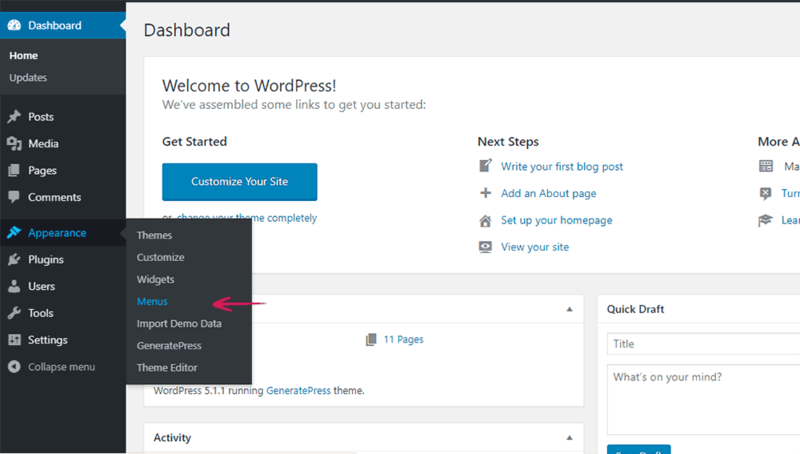 Let’s see how to install a free WordPress theme from WordPress theme directory. 1. Use your website admin address (mywebsitename.com/wp-login.php) to login to your WordPress site. 2. In WordPress Dashboard, on the left sidebar menu, look for an option called Appearance then click Themes to go to the themes section. 3. Now click Add New in order to select the theme that suits your preferences. 4. Search using generic terms such as Featured, Popular, Latest, or Feature Filter in order to get your perfect theme. Type the name of the theme (for example, here I am searching a theme called GeneratePress) if you already have it so that you can retrieve it from the repository. 5. Once you have settled for one theme, Click Install and then Activate it so you can start customizing it. There is nothing wrong to change the theme as many times as you want because your content will not be affected. However, some of your settings may be lost because this depends on what the specific theme provides. Apart from themes available on WordPress themes directory, you can design your website using other themes as well. There are several other developers that provide free and premium WordPress themes for your use. You can visit their websites; download the themes to your computer, these themes are packed in .zip format. Go to Dashboard > Appearance > Themes. Click Add New option at the top of the screen. Click Install Now. It will take a while installing the theme. Then you can Activate it as shown in the previous method. A WordPress plugin is a piece of software that adds new features/functionalities to a WordPress site. In some CMSs it is called a module/extension. By default, WordPress comes with basic bare-bone features that do not fulfill every site owner’s need. Therefore, there are plugins to get more flexibility, features, and extendibility. Curious? How can you install and use a WordPress Plugin? Go to WordPress admin dashboard. Click on Plugins then Add New to access the WordPress Plugin repository. Search WordPress Repository for the plugin you need to install (in this example, I’m installing Yoast SEO). Click Install. Plugin installation will start, it will take a while to complete. Once the installation is completed, click Activate it to make it ready for your use. Go to the Plugin settings to configure it in order to suit your preferences. Go to WordPress Dashboard > Plugins > Add New. Then click Upload Plugin option at the top of the screen. Click Choose file and select .zip plugin file from file selection window. Then click Install Now. It will take a while installing the plugin. Then click Activate to make plugin ready for use. The final step on how to create a website involves adding content to your website. Posts: Posts are nothing but the articles you publish related to your website topic/subject. Generally, these posts (also referred to as blog posts) get published in the form of chronological entries. Pages: Pages are another content template, which is used to create pages like website’s About Us, Contact Us, Disclaimer, and Policy page etc. Enter the post title at the top post editor. There is an option to edit post slug/URL just below the post title. Write/paste content to the post body. Add a few interesting and relevant images to your post. Click Preview (on the top-right of the editor page) to see the preview of the post before publishing. After checking out the preview, make desired changes to the post (if there is any). Finally, click Publish to publish your post. The same process applies to publish a page on your website. Once you have published a few posts/articles & pages, you can add these pages to a menu. Let’s find out how to create a menu in WordPress and add items to it. You can also add media (images and videos) on both your posts and pages to make them even more appealing and engaging. Navigate to Posts or Pages on the left of your dashboard menu so that you can start adding content. Click Add New to go to the editor interface. Insert content on the editor so that you can start editing. Place the cursor where you want to add an image, then click Add Media. Click Upload Files > Select Files. The image will be uploaded to your media library. Add relevant a title, caption, alt tag and description to the image. Finally, click Insert into Post to add the image to post/page. Because videos are large in size, therefore, hosting them on your own webhosting is not a wise idea. Instead, you can upload a video on free video hosting service like YouTube or Vimeo or SoundCloud in case of audio. And embed them in WordPress post or page. WordPress supports embedding media of all major services. To embed a video in WordPress you need to copy the video URL and paste that at the place where you want it to appear in post/page. On the left of your dashboard, go to Appearance and click Menus to start the process. On the next screen, click create a new menu in order to configure. Choose your options (pages) from the left and click Add to Menu to create your new menu. Choose the desired menu location from Manage Locations page where you want your menu to be displayed. And then click “Save” to finish the process. Alternatively, you can do this on the Customizer by clicking Customize on the Appearance menu. Where the menu will be placed on your site is dependent on the theme that you are using on your website. Most professional themes offer at least two positions to choose from. Modern responsive themes provide a specific position for you to place your social menu as well. This is where you put your social media menu items. You can use this menu as just the way you use the regular menu in terms of configuring. In earlier times, creating a website from scratch used to a daunting task but fortunately, now we have CMS like WordPress which makes the whole process really easy and straight-forward. Especially, the wizard-based WordPress installation (which involves step by step option-click setup; just like you install a program on your computer) makes it very simple for beginners to start with WordPress. Knowing the correct process to create a website is really important. As it helps to avoid incurring expenses on something that you can do on your own. After following above four easy steps to create a WordPress website, you should now be confident enough to give it a try. Believe me, you will find it worthwhile. Go create a website for your personal or business needs, now that you know how to create a website in 4 easy steps! I have tried to explain all the necessary steps to create a website without much hustle. Still, you are facing any issue during the process, let us know via comments, we’ll be happy to help. If you liked this article and enjoyed reading it, please share it. Your shares help us to spread the free content and help more people like you. How to Create Gravatar Account? Why use Gravatar in WordPress? Shashank Singh is a web addict and amateur blogger since 2007. His current interests include blogging, SEO and WordPress. He does have a full-time job to make living out of it. See his social profiles to know him even better. Read all the articles (41) written by Shashank. How to Create Gravatar Account? & Why use Gravatar in WordPress?